" through this blog, we try to share our knowledge with the world. everything seems complex and difficult to understand until we break it into pieces, and sharing knowledge increases our hunger to break more things... "
Each frame is repeated atleast 3 times during transmission at an interval of 45 ms.
* Develop an algorithm for encoding the signal to be transmitted. * Produce the encoded signal with the help of a micro-controller. * Transmit the signal through an IR LED in the form of IR. * Recieve the signal using an IR TSOP receiver. * Develop an algorithm for decoding the encoded signal. * Display decoded data on the monitor. 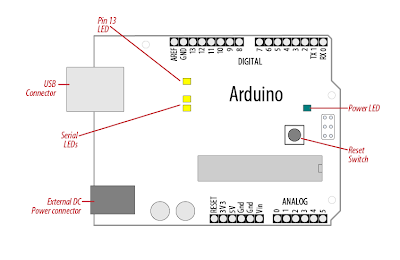 A Platform to Move on: Arduino, a stable, famous and easy-to-understand Platform. The above figure will give you a good idea about the board. Either Atmega 168 or Atmega 328 can be used along with this board. It has 14(0 - 13) digital pins and 6(14 - 19) analog pins. We use one of those to produce the required signal. We connect an IR LED to that pin and convert the signal into IR form. 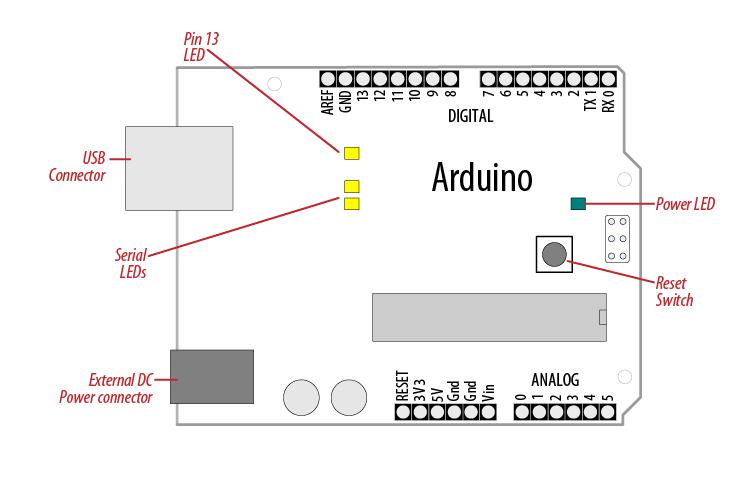 To know more about the features of Arduino Duemilanove, Click here. // here initial settings are done.